One of the major reasons for people returning to The Gambia time and time again is the quality and diversity of the cuisine available - you'll definitely not go hungry! The Gambia is renowned for its abundant supply of fresh seafood; lady fish, barracuda, butter fish and Atlantic prawns are just some of what you'll find on many menus. In beach bars in the south of the country, you can order the 'catch of the day' and the staff will go to the local fishing village and purchase some of the freshly caught fish for you. Benachin - Rice cooked with meat or fish and vegetables and tomatoes. Domoda - Meat stewed in peanut puree and served with rice. Superkanja - A mix of okra, fish or meat, palm oil, onions and pepper boiled together. Chicken Yassa - Chicken cooked with fresh lime, onions and ground black pepper. Ocean Bay's à la carte restaurant with an unrivaled position next to the ocean. Popular restaurant with an informal atmosphere serving good quality authentic Gambian cuisine. Freshly cooked authentic Indian cuisine at reasonable prices in a relaxed setting. Italian Restaurant and Bar for dinner and/or drinks, newly opened last winter. Italian dishes served throughout the day and evening, popular for home made ice creams. Excellent home-cooked Lebanese food, very popular. A contemporary hot spot for cocktails, tapas and Mexican specialties. Mediterranean cuisine made with fresh and healthy local produce in the beautiful modern setting of the Leo's Beach Hotel. Classy air-conditioned restaurant with an excellent menu. A newly opened restaurant that is quickly gaining in popularity. Quality international restaurant open for breakfast, lunch and dinner. Spectacular beachside setting for informal dining. Read our review. Excellent à la carte restaurant in an attractive outdoor setting. Variety of cultural cuisine served in a cosy atmosphere. Newly opened last winter, enjoy this serene garden setting under the shade of a bantaba. A la carte cuisine in a relaxed atmosphere. Kori d'Or is also a lovely location for pre or post dinner drinks. Contemporary seafood with a fantastic ambience. An à la carte oceanfront restaurant with wonderful food, great service and a tranquil atmosphere. Contemporary décor and friendly atmosphere offering pasta, seafood, grills, tapas and African specials plus live football matches and a pool table. When booking a package holiday with us you will receive a copy of The Gambia Experience ‘Gambia Guide’ within your ticket pack. Within the guide, is an extensive listing plus ‘tear out money off vouchers’ for each of the following restaurants; detailing opening times, a price indicator, a description of the type of cuisine, atmosphere and features, a location map plus contact numbers to enable you to secure a reservation. The money off vouchers will provide our customers with a saving of 10% off the total bill (in most cases - some variations and restrictions apply). 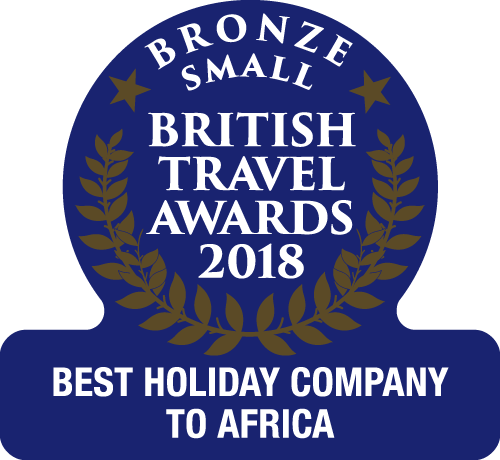 Book with The Gambia Experience and receive a FREE Gambia Guide packed with info and SAVINGS at over 20 restaurants in The Gambia. Many of the hotels we feature have a main restaurant and à la carte dining, the following hotels have a greater choice with two or more restaurants for guests. The quality of a meal at any restaurant can vary and Gambian restaurants are no exception. Our local representatives can offer advice about the current reputation of restaurants and any new establishments that may have opened.